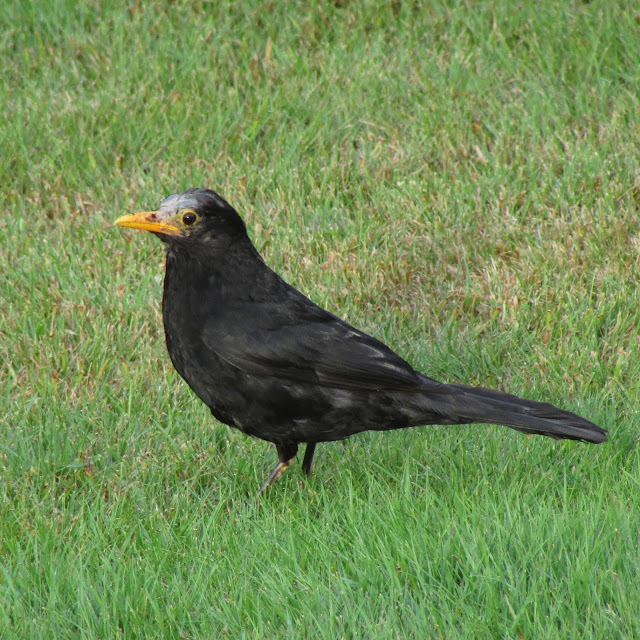 During July and August, the breeding season is pretty much over for blackbirds. Males, after weeks of feeding young look pretty worn and some have lost many of the feathers of their heads. Males take care of the fledglings of the first brood, while females lay the second clutch and incubate. 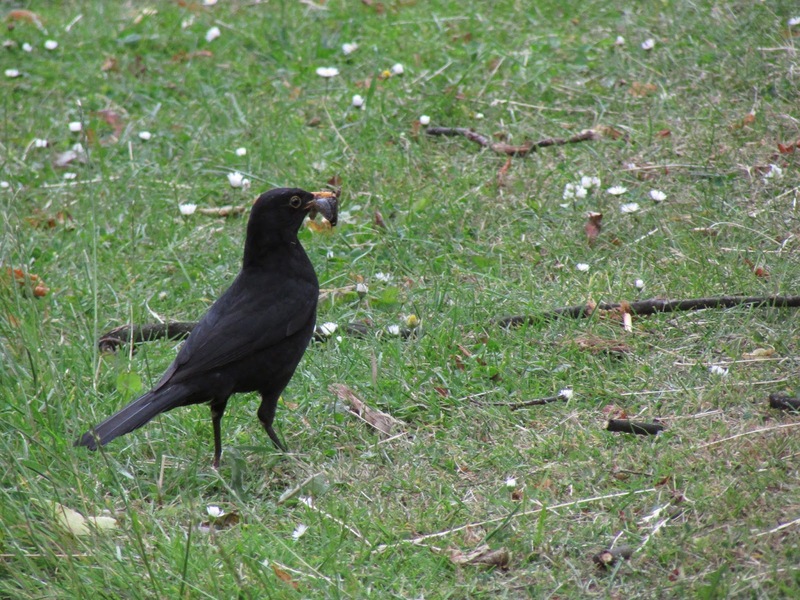 Blackbirds might have a third clutch, so that males spend more time feeding chicks - that is, sticking their beaks into their chicks' open beaks. 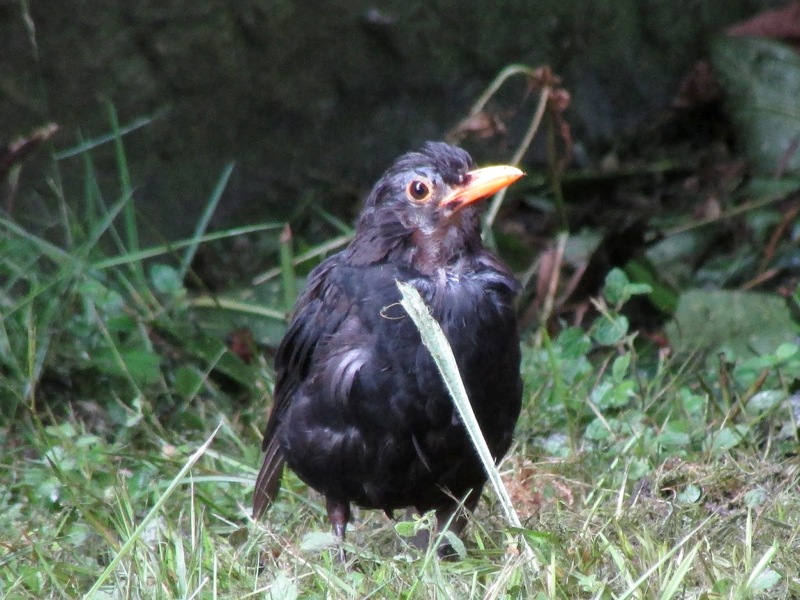 The stresses of the long breeding season and offspring demands might be responsible for most of the bald blackbirds at this time of year. Not to worry, they will moult in the next few weeks and look black and glossy again in time for winter. The top photo, of a very bald one, was taken a couple of weeks ago. 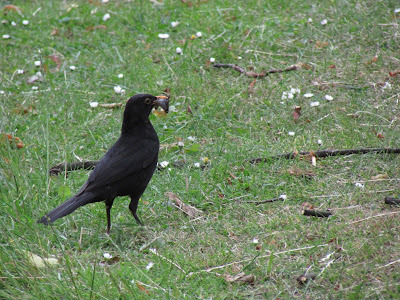 This male collecting food for his young was not looking too bad on the 10th of July. The poor things! I hadn't noticed that previously but will look for it now. Thank you.